A group of Midwestern Republican senators are meeting Tuesday with EPA Administrator Scott Pruitt to express their concerns about the agency's recent moves on ethanol, according to a spokesman for Sen. Grassley. The Iowa Republican lunched with Pruitt Monday to discuss the same issues. Why it matters: Ethanol is one of the few energy issues that's controversial within the Republican Party, so expect this tension to wear on throughout President Trump's time in the White House. This meeting comes ahead of a November 30 deadline for EPA to issue final annual regulations as part of the federal ethanol mandate. Behind the scenes: Pruitt has been frustrated with Grassley's aggressive intervention on the mandate, according to a senior government official with knowledge of the situation. Grassley, as chairman of the Judiciary Committee that has jurisdiction over judicial nominees and the Russian investigation, is one of the most powerful senators on Capitol Hill. Trump has made clear to Pruitt that he needs to work with Grassley to resolve their dispute over the mandate, according to the official. An EPA spokesman declined to comment on Grassley's role or Pruitt's perceived frustration. The backstory: President Trump has supported ethanol, which comes mostly from corn and is thus important to senators from corn-rich states, like Iowa. 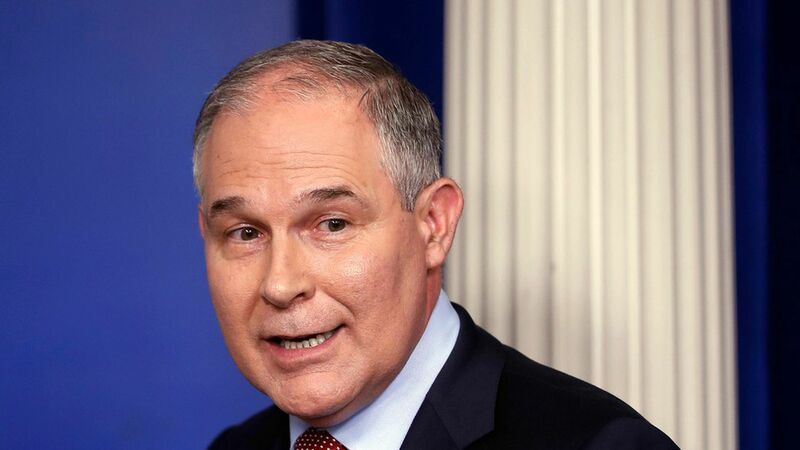 Pruitt, in his former job as attorney general of Oklahoma, signed onto litigation opposing the federal mandate, also called the renewable fuel standard (RFS). Trump has aggressively supported the mandate and campaigned heavily on it while touring Iowa during the presidential campaign. Gritty details: Grassley and a bipartisan group of roughly 30 senators sent a letter Monday urging Pruitt to increase the volumes of biodiesel it requires as part of the ethanol mandate, which mandates that EPA issue annual quotas for different types of biofuels. The agency in September took a rare step by proposing to reduce the levels of biodiesel and advanced biofuels the mandate would require. Grassley and other senators are also concerned about EPA's possible policy change regarding exported biofuels. "Sen. Grassley will oppose any effort to reduce blending levels or otherwise undermine the RFS to help a handful of merchant refiners," a spokesman for Grassley said. "Those efforts are not necessary, and run contrary to the stated commitment of President Trump and Administrator Pruitt to maintain and defend the integrity of the RFS." About that meeting: At least a half dozen GOP senators are expected to attend, including Senators Roy Blunt from Missouri and Joni Ernst of Iowa, according to spokespeople for their offices.